AFA Academy’s Programs serve children ages 18 months through 21 years. Upon enrollment, appropriate assessments are administered to determine the unique learning style of your child. Further, in addition to parent pay, insurance billing can be arranged for applicable programs, as well as for therapies. AFA Academy’s Intensive Behavioral Intervention-Preschool/Toddler (IBIP/T) Program was created for the younger child (18 months through 5 years) and features full-time 28 hours per week of intensive ABA therapy and individualized instruction, year-round, combined with a low student:staff ratio in a classroom-type setting. The IBI Program is staffed with a strong team of BCBAs, BCaBAs, RBTs, and Implementers, including certifications in ESDM. The IBIP/T Program not only serves the child, but also helps the entire family by providing parent training to help carry therapy strategies into the home to foster further successes for each child. To schedule a tour and learn more about how this Program can help your child, please contact AFA Academy at 636-405-2701. 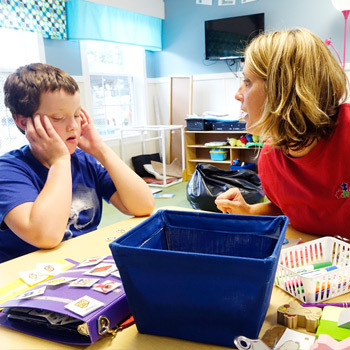 The Intensive Behavioral Intervention-Elementary (IBIE) Program is intended for elementary-aged kids (6 years through 12 years) and offers full-time 28 hours per week of intensive ABA therapy with specialized curriculum and low student:staff ratios, year-round, in a non-clinical setting. The IBI Program is staffed with a unique team of BCBAs, BCaBAs, RBTs, and Implementers, including certifications in ESDM. 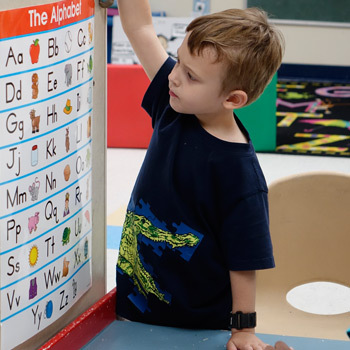 In addition to exemplary therapy services in the IBIE Program classroom, ABA Therapists work directly with parents and families to provide parent training, promoting added success for the child within the home setting. To schedule a tour and learn more about how this Program can help your child, please contact AFA Academy at 636-405-2701. AFA Academy’s Inclusion Preschool Program is targeted for children in the 2-3 year age range, offering placement for children with special needs, as well as typically developing children. The Inclusion Preschool Program is staffed with a diverse team of Certified Teachers and Assistants. Children in the 4-5 year age range are well-served within AFA Academy’s K-Prep Program, designed for children in the 4-5 year age range. The K-Prep Program includes both kids with special needs, as well as typically developing students, preparing them for Kindergarten. The K-Prep Program team includes a great staff of Certified Teachers and Assistants. Inclusion is a key in the Inclusion Preschool & K-Prep Programs, helping prepare children for their future, while integrating specialized learning for children at different developmental levels, fostering growth, along with understanding and empathy. Many children within AFA Academy’s IBIP/T Program find the Inclusion Preschool & K-Prep Programs as a wonderful stepping stone to a more advanced placement. Please call 636-405-2701 to learn more about these programs. 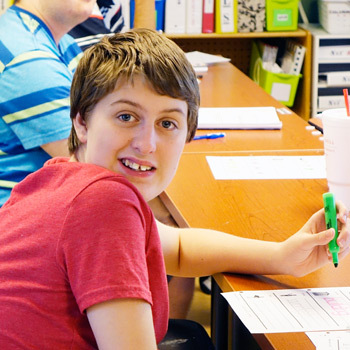 AFA Academy’s Elementary Special Education Program is targeted for students in the 6-12 age range, providing a specialized curriculum and unique learning approach tailored to the individual learning style of each child. The Elementary Special Education Program is staffed with a great team of Certified Teachers and Assistants. 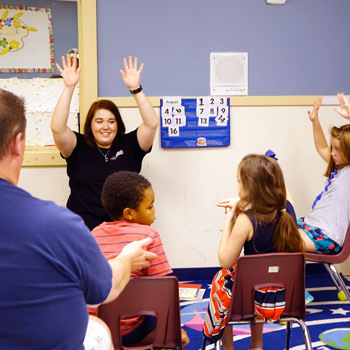 Community-Based Instruction for children within the Elementary Special Education Program in instrumental, and the Program encompasses community outings to not only encourage learning and growth, but to further promote socialization and community involvement. To learn more about how the Elementary Program can benefit your child, please contact AFA Academy at 636-405-2701. AFA Academy’s Middle/High School Program offers individualized curriculum for older students, with ages ranging from teens through age 21. Small classrooms with experienced staff provide students with guidance and security, while helping to encourage independence. The Middle/High School Program is staffed with a talented team of Certified Teachers and Assistants. The Middle/High School Program combines Community-Based Instruction and Future Focus Skills to prepare young adults for a bright future. With appropriate supervision, students receive vocational training and develop confidence while in the community. In addition, the platform focuses on fostering individuality and proficiency with personal care, self-reliance, safety, and more. Please contact AFA Academy at 636-227-2330 to schedule a tour to learn how your child can benefit from AFA Academy’s unique Middle/High School Program. 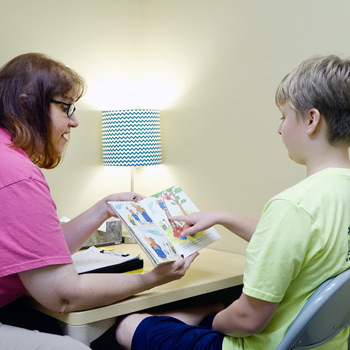 AFA Academy’s Therapy Program is staffed with certified therapists offering ABA, Speech, Occupational, Physical, and Aqua therapies, with insurance accepted, as well as parent pay. AFA Academy recognizes that appropriate therapies can complement the child’s learning, growth, and success, and our Team of Therapists enjoy helping children and their families. Both push-in and pull-out therapies are utilized within AFA Academy Programs, based on the individual needs of each child. Additionally, therapies are also available before or after regular AFA Academy Programs if this best fits the child’s unique needs or scheduling requirements, or if the child is not enrolled in AFA Academy’s Programs but would like to take advantage of the great therapists. Please contact AFA Academy's Therapy Director, Jennifer Kostecki, at 636-405-2701 to learn more about scheduling therapies for your child. At AFA Academy, our mission is to help every child achieve their full potential. We understand the financial burdens for many families who have a child with special needs. Accordingly, AFA Academy fundraisers allow us to offer financial aid. AFA Academy’s Scholarship Program is available to families needing financial assistance for AFA Academy Programs. To apply for AFA Academy’s Scholarship Program, please complete a Financial Assistance Application. To make a safe and secure online donation, please make your selection below. © AFA ACADEMY - All Rights Reserved.